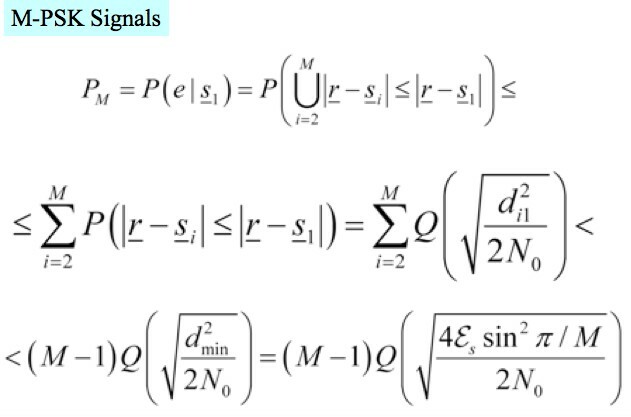 If the information is carried by the phase difference associated with two adiacent symbols rather than the phase associated with a single symbol the ambiguity is removed. 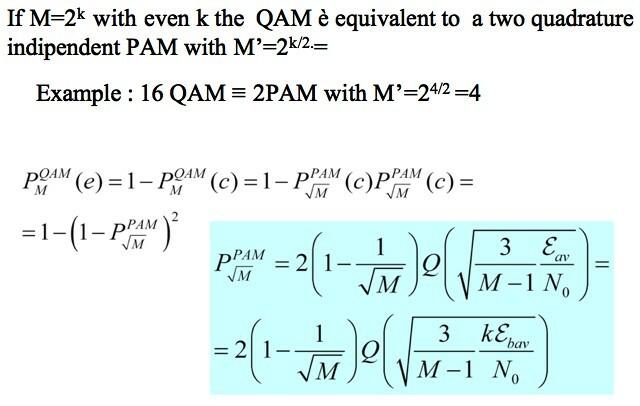 By means of a differential coding the ambiguity problem has been solved. 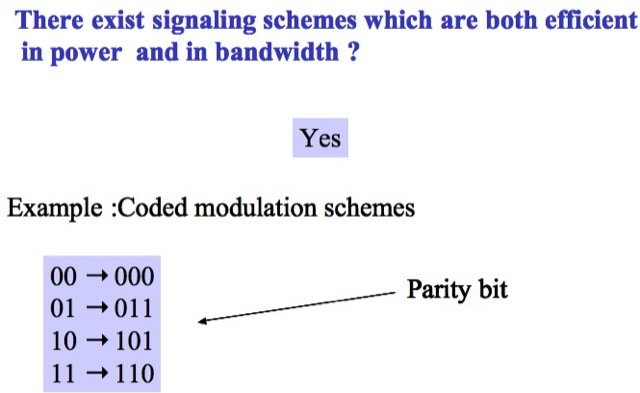 Both the differential coding and decoding are implemented by simple logic circuits which precede the modulator and follow the detector, respectively. 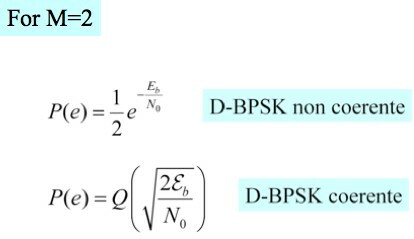 If a coherent receiver is utilized, the P(e) is roughly double the P(e) obtained with the B-PSK (non differential). 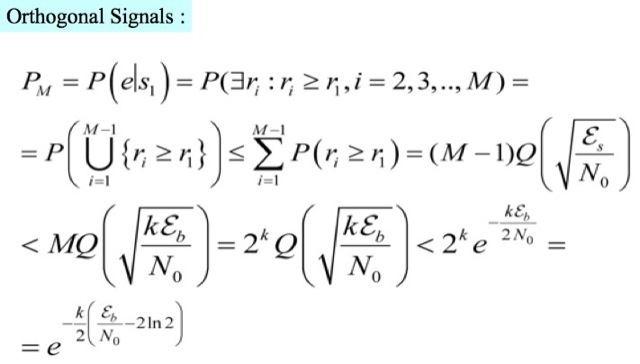 This result is justified by considering that if a symbol interval is highly corrupted by noise, such an event can cause two errors in two consecutive decisions. 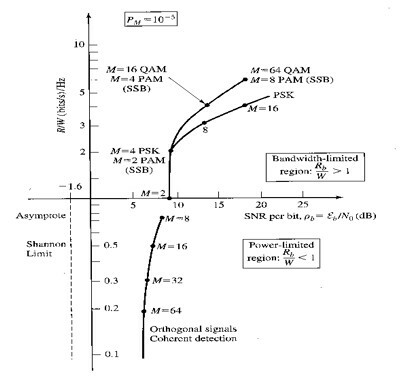 If a non-coherent receiver is utilized which performs the decisions by resorting to rn (rn-1)*, it can be shown that the decision variable can be approximated with the one associated with the coherent receiver provided that the noise component exhibits a double power → 3dB loss in SNR (OK for M > 4). 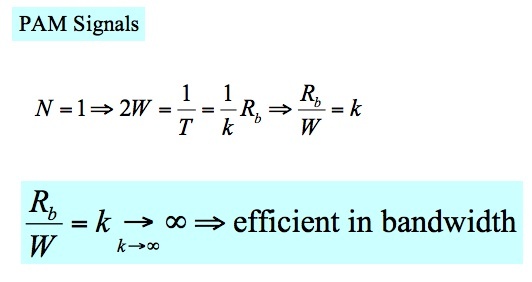 Which is the required ratio Eb/N0 to assure a given Pb for a fixed channel bandwidth 2W (or bit rate Rb) ? 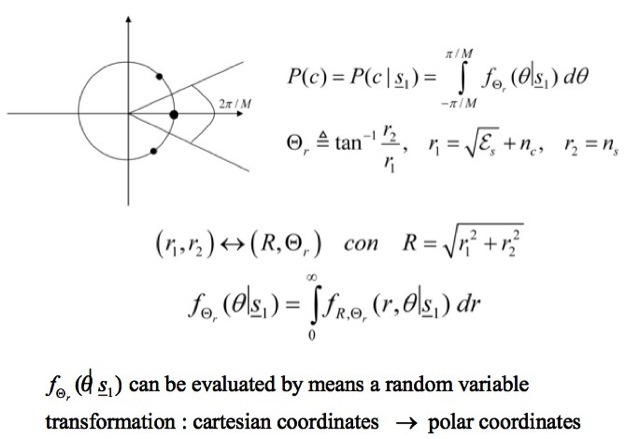 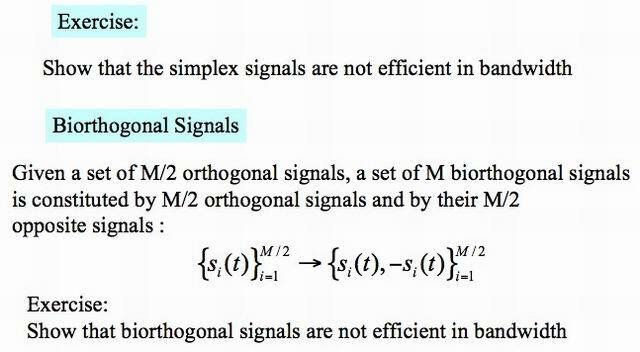 How to evaluate the bandwidth of a modulation scheme? 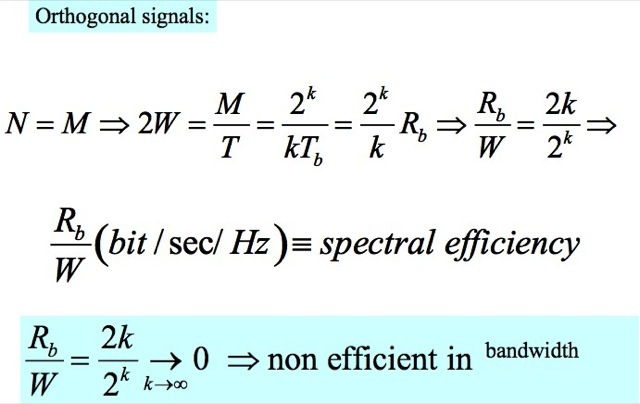 The Shannon bandwidth gives a measure of the spectral occupacy without requiring the knowledge of the specific signal waveform. 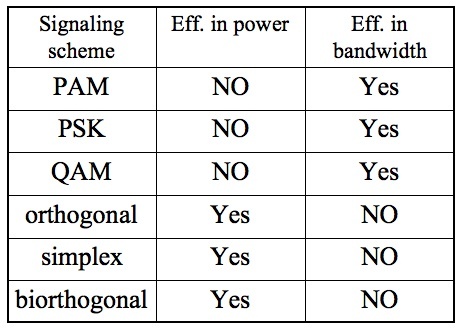 The PAM signals are not efficient in power. 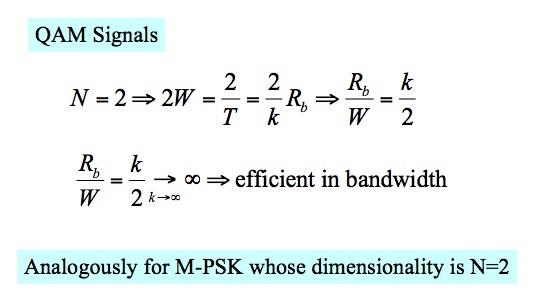 Do signaling schemes exist which are both efficient in power and in bandwidth? 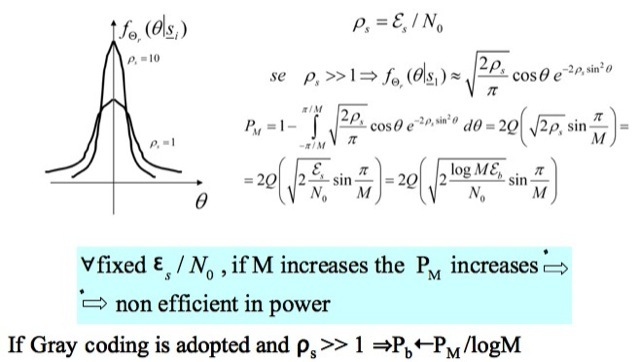 How do we pay the bandwidth and/or power saving? 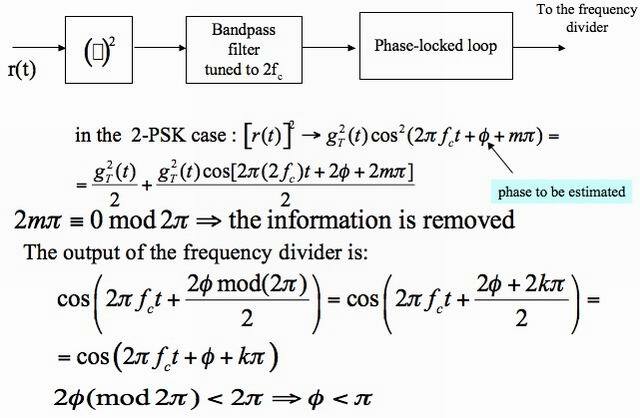 The comparison must take into account also the complexity of the devices in transmission and in reception. 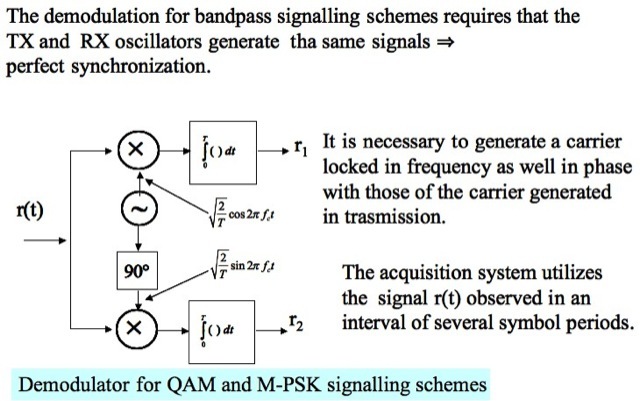 The PAM signals require a single correlator.